Fighting games have always the important questions in life: Who would win in a fight between Superman and Batman? Green Arrow or Green Lantern? 4 years ago, Injustice: Gods Among Us tried to put those questions to bed with mixed results. The sequel, Injustice 2, released last week and fixed some problems while creating a slew of others. 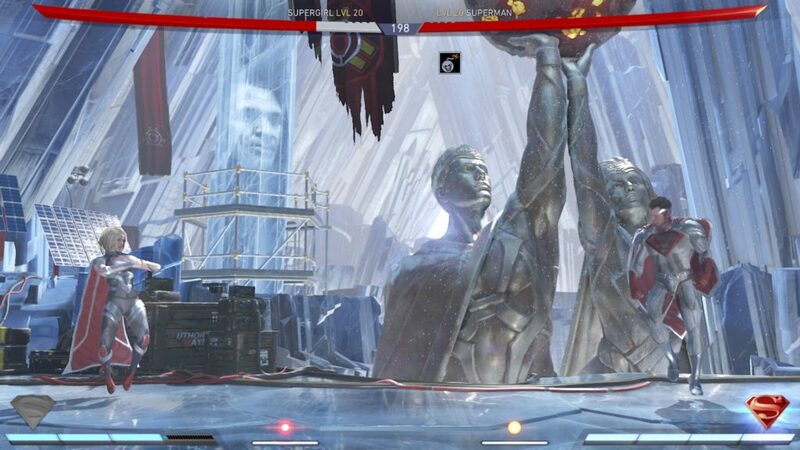 First and foremost, the story mode for Injustice 2 ditches the crazy multiverse hopping for a streamlined, single Earth tale. While there are slight rumblings of Superman being freed after the end of Injustice: Gods Among Us, the real story is the pending invasion of Brainiac. The story follows the basic beats one would expect of a traditional comic book crossover, with each character getting their time in the spotlight before Batman/Superman wraps up the narrative. At it's heart, Injustice 2 is a Supergirl story. Ultimately, the story is a Supergirl story, dealing with her coming to terms with the fact that her cousin, in this Earth, is a murdering despot. After being recovered from her crash to Earth by Wonder Woman and Black Adam, she is raised in seclusion in order to break her cousin out of Batman’s red sun prison. Of course, Brainiac invades, so everyone has to put aside their differences and band together to save the world! While some of this story is extremely goofy, there are some truly great moments that will send shivers down your spine. Interspersed between the gameplay are amazing cut scenes that push the story from fight-to-fight, and this is where everything shines. The lip syncing and eye movements are absolutely stunning, and it makes the characters we all know and love come to life. Also: Kevin Conroy returns as Batman, which is always a good thing. Between the tight storytelling and the amazing cut scenes in between fights, Injustice 2 sets the bar for a story mode in a fighting game. Without dipping into spoiler territory, there is only one major downside to the narrative, and that is a giant lack of Wonder Woman. She takes a back seat pretty quickly thanks to her position as a supporter of the terrorizing Superman of the Injustice universe, and thus she is viewed as a ‘bad guy’ throughout most of the story. This is a huge disservice, and frankly a missed opportunity for Netherrealm and DC to do something truly special for the undisputed Goddess of Comics, especially with her own solo movie coming out in a few short weeks. The original Injustice saw Man of Steel skins for both Superman and General Zod, so one can hope that Princess Diana of Themyscira will be getting the same treatment. There are always challenges in the Multiverse mode. If story mode isn’t your speed, you can jump right into the Multiverse mode, which is similar to The Living Tower mode from Mortal Kombat X. 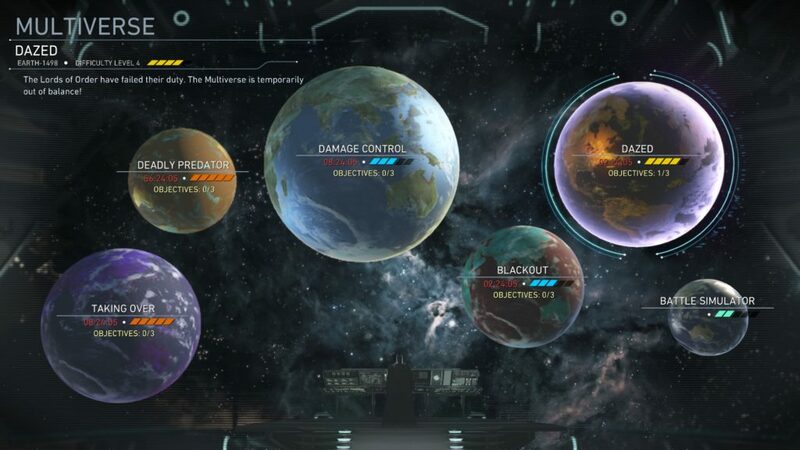 In the Multiverse, there are always 5 different challenges going on, and they change on a timer based system set by Netherrealm, so there is always something different going on. The challenges each Earth of the Multiverse offers can restrict you to one character, or shock the floor with electricity every couple seconds, or give you a partner to tag in for a single move. These constantly refreshing challenge modes are a nice addition designed to keep you playing for months to come. The meat and potatoes of the game is of course the fighting. While the control scheme and mechanics are mostly the same from Injustice to Injustice 2, there are two new additions that make the game feel more tactical and fleshed out. The first of these is the ability to spend part of your special meter to cancel out of a combo midair. This one simple addition allows frustrating air combos to be broken, and gives you an edge when you can feel your opponent dominating you. And all you have to do is pull a trigger. In addition to being able to break air combos, every character now has a tactical roll. By double tapping towards your opponent and pulling the meter burn trigger, your character becomes invulnerable and immediately closes the distance to their opponent. This is a great way to counter annoying players who stand in a corner just spamming ranged attacks for hopes of an easy win. Despite the amazing cut scenes in the story mode, there are some graphical shortcuts in the fighting engine that are frustrating. Some characters use recycled animations from Mortal Kombat X and Injustice, bringing up that weird feeling of ‘cannot unsee’. Poison Ivy may be a new character to the lineup, but most of her moves and animations are taken from Killer Frost from Injustice. Some characters even borrow from already existing characters, like when Atrocitus uses a special move from Wonder Woman’s removed whip stance. Black Canary uses a lot of the same animations as Sonya Blade. Darkseid is pretty much a re-skined Zod. These copy+paste animations are not game breaking, but it is disappointing that Netherrealm didn’t put the effort into making the actual game as beautiful and unique as the cut scenes. Do you like loot boxes and multiple currencies? Injustice 2 is built on them. The biggest problem the game has is its dependency on loot boxes. There are 10 different types of boxes, but other than quantity of items dropped there is nothing separating them from each other. On top of that, there are four currencies for players to earn. These currencies can be used on loot boxes, or changing gear so you can get optimum stats with the visuals you want. One major downfall is that in addition to things like helmets, pants, and weapons, the loot boxes can drop moves for characters. That means that in order to be in full fighting shape with the best abilities for every character, you have to rely on luck of the draw. Want Green Lantern to throw missiles overhead instead of a detonating battery? Hopefully that move unlocks for you, especially if it is key to your combos. What is even more frustrating though, is that you will get drops for characters you don’t even play. 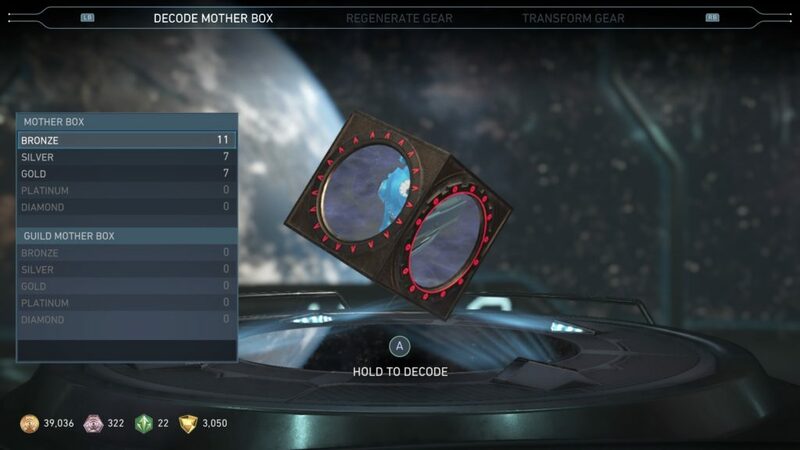 While that is fine in something like Overwatch, where every loot drop is cosmetic, the loot in Injustice 2 has stats attached to each item. By having stats and power gains on each piece of gear, you feel cheated because it isn’t for a character you regularly play. The cherry on top of all of the frustration the loot box system provides is that there are item sets for characters. Unlike something like World of Warcraft, there is no way to figure out where your next best item comes from. It is all random. While there are huge improvements made in the single player story and the fighting mechanics, the forced addition of random loot and micro-transactions brings unnecessary roadblocks to an otherwise enjoyable fighting game. The added mechanics allow anyone to pick up a controller, and become a competent opponent with the explanation of a few simple button presses. There are already 9 planned DLC characters, so Injustice 2 will be supported for months to come!